Are Your Doors Solid Wood? This is a question I have had to answer more times than I can count. The short answer is yes. The long answer is also yes, but not in the way you think. Before we get into all that, lets discuss the basic construction of a door. 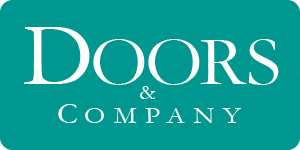 The picture below shows the two main elements of (almost) any door. 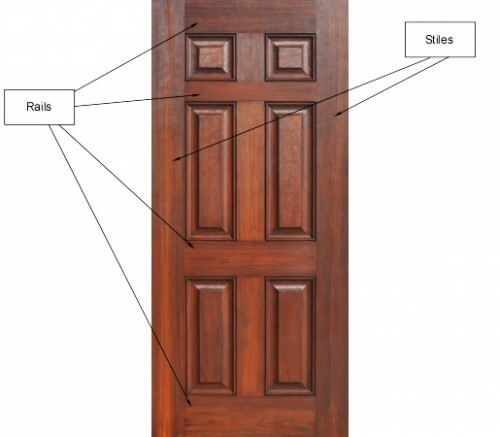 Stiles and rails make up the basic framework of doors. After that you can add panels, and/or glass, and now you have a door. Now to the solid wood part. Yes our doors are solid wood, but the stiles are built in a way you might not be familiar with. We employ a construction technique that uses what are called “Engineered Stiles” (pictured below). The vertical stiles on a door are what are most likely to warp. An engineered stile achieves two goals. The way it is constructed virtually eliminates warp. The other advantage to engineered stiles is that they allow for a single presentation quality board to go much further. Where a single 2″ thick board was once enough for 1 door stile, now it is enough for 4 stiles. When I first saw stiles being made like this, I was not sold on the idea. I was what you might call a purist in regards to woodworking. I was not the only who felt this way. I heard people refer to it as “cheating”. From a woodworking perspective, I realized that that was not a valid argument. After all, it takes a lot more labor to build an engineered stile than a solid wood stile. Over time however, I became a convert to this type of construction. The absolute main reason is that I no longer have to deal with warped doors. If you think about it, a door is placed i a very tough position. It is exposed to the elements on the exterior side, and a climate controlled space on the other. Every little thing you can do when constructing a door to strengthen it it pay off in the long run. In my professional opinion, engineered stiles are the way to go.